It was touching and uplifting to read all your comments on my previous post about a Zara skirt It was a mixed bag in a good way of understanding caution and blasting of don't get caught up in this sort of trap. To celebrate the fact this is my first post on my new Macbook Pro and the fact for 3 days, due to no laptop, I did nothing other than potter and watch SATC the series...I give you my legs. 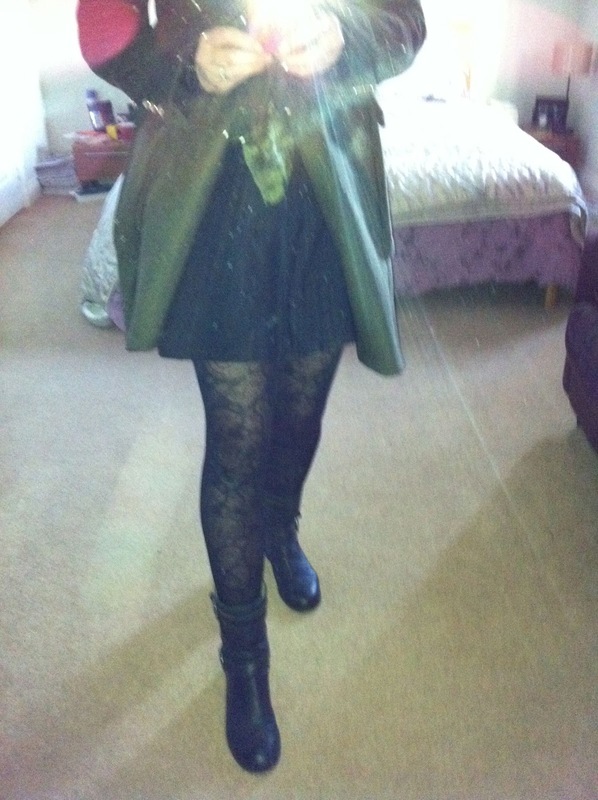 My legs wearing Primark tights - get them they are a bargain-ous £3 - and the Zara skirt. I have 3 looks going on. 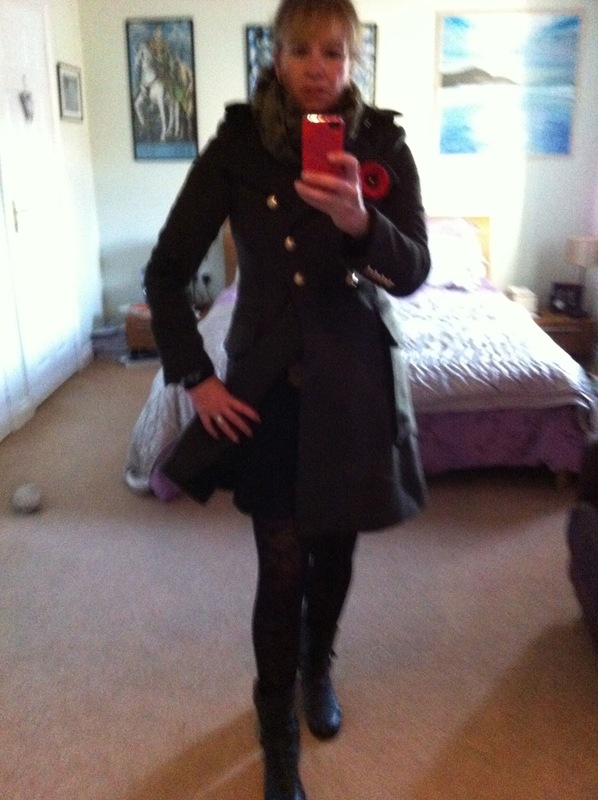 Two different pairs of heels and then the skirt and legs in military coat and biker boots. I wanted to be able to do day and night in the skirt. 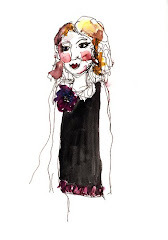 You know what I think I've learnt where there is a will there is a way... you can pull off any look if you truly want to. 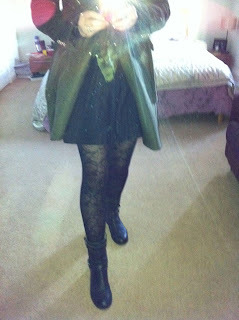 The day look, Zara skirt worn with coat (from Zara1 Yes I have a Zara problem but that is another post) and years old biker boots from Gap. Above the flash version to show the tights, below the overall look. 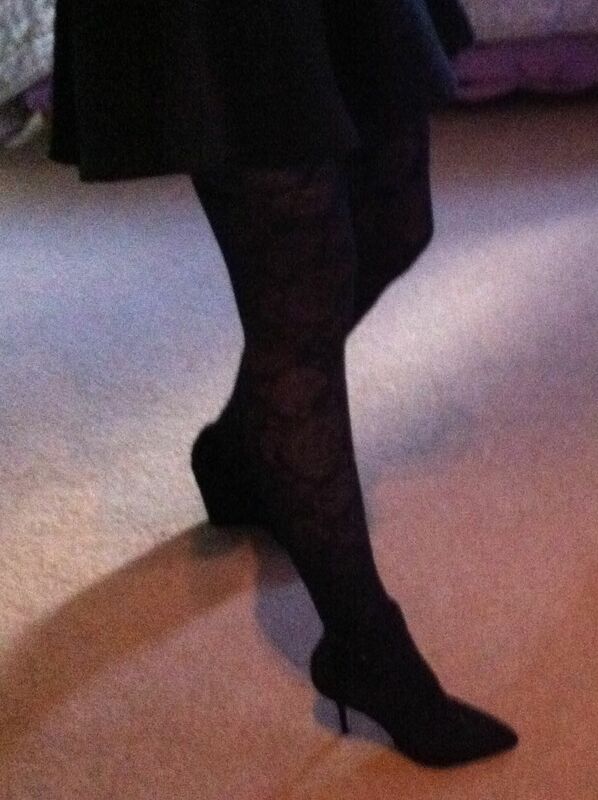 That skirt works wonderfully with the lace tights! Sooo cute! Short skirt, military jacket, boots... three of my favorite things! Looks great. Looking good - fabulous legs!! 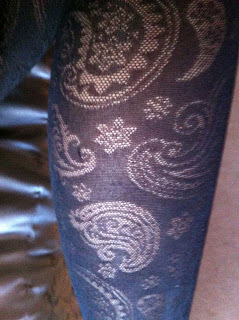 Nice stockings design. :) It's very unique. This topic is pretty good and the buy wow gold writer's views are unique and not so hard to understand.I like it buy gold on wow very much, and by the wow gold way I want to share some interesting and very useful websites to you:www.safewow.com! Iam sure you can find out funny things there.